Summary: Editors • 1. 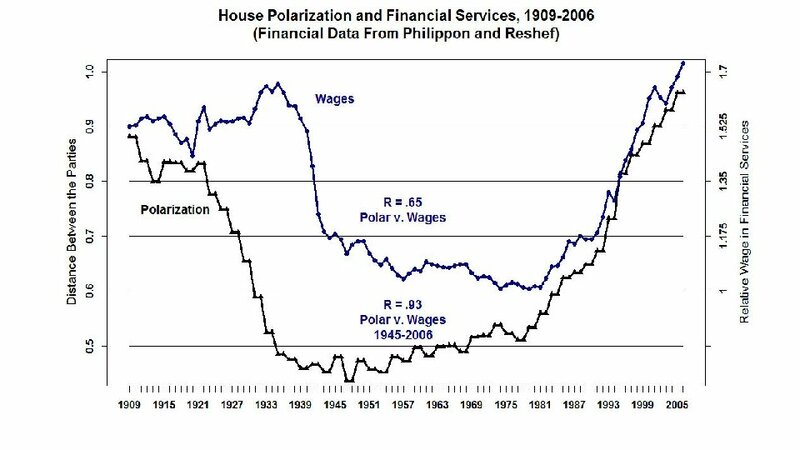 Polarization in Congress is the highest since Reconstruction • 2. 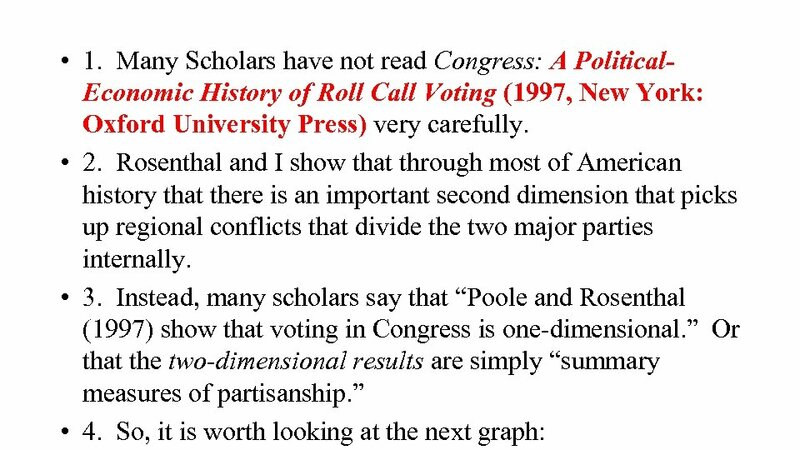 Polarization is not an artifact of roll call voting. It also occurs in campaign contributions. • 3. 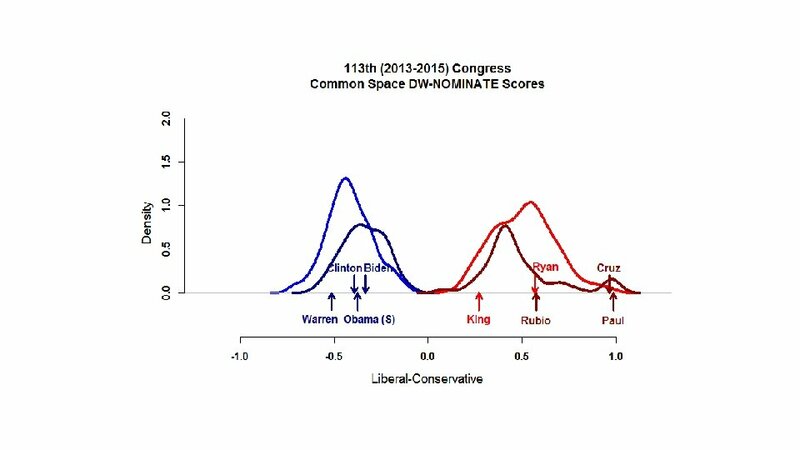 Polarization in Congress is largely due to the Republican Party becoming more conservative. • 4. 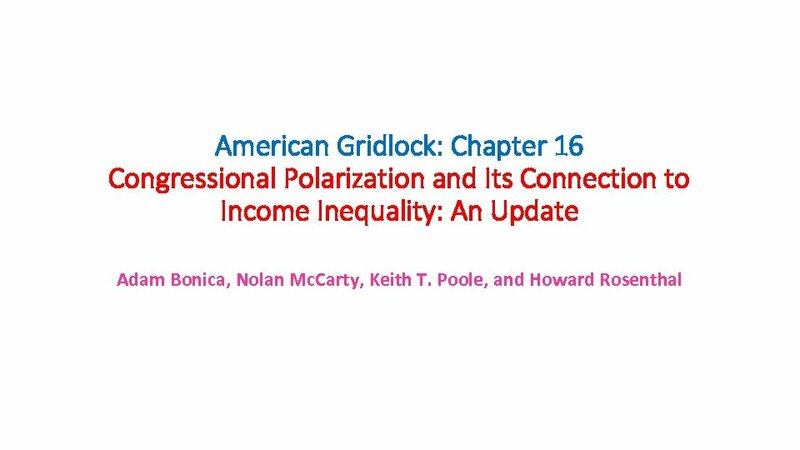 Polarization and income inequality appear to be mutually causal. • 1. 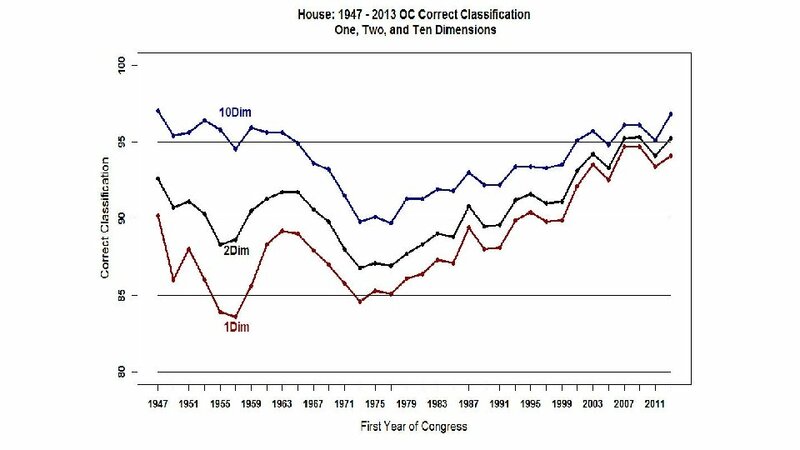 The Republican Caucus in the House has moved to the Right with every election since 1976. • 2. 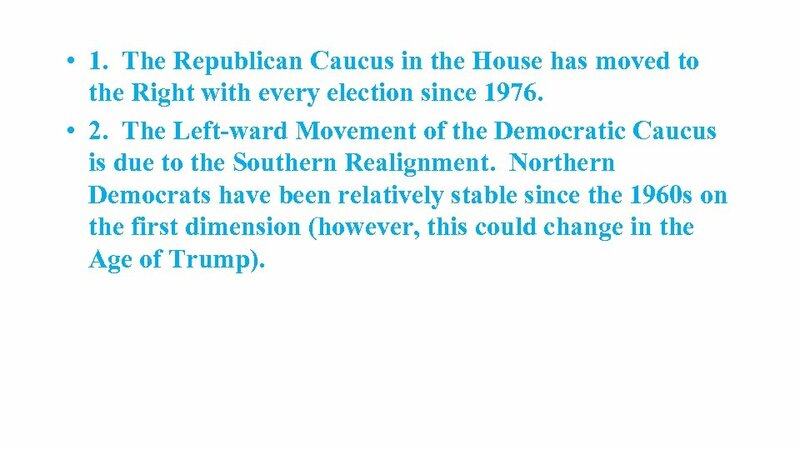 The Left-ward Movement of the Democratic Caucus is due to the Southern Realignment. 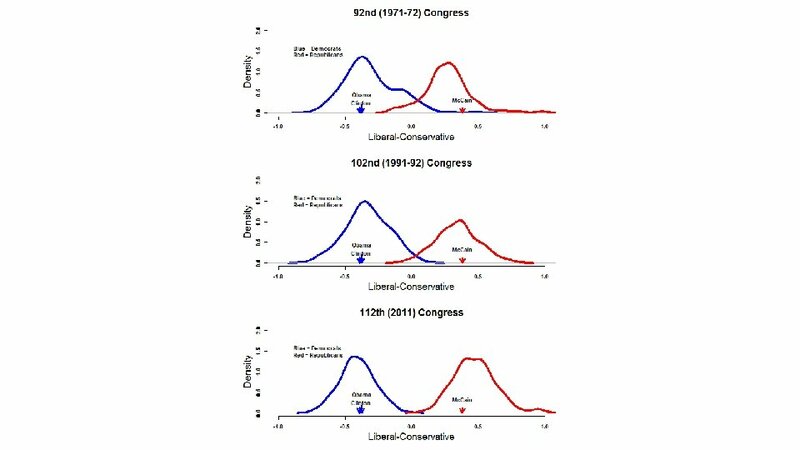 Northern Democrats have been relatively stable since the 1960 s on the first dimension (however, this could change in the Age of Trump). • 1. 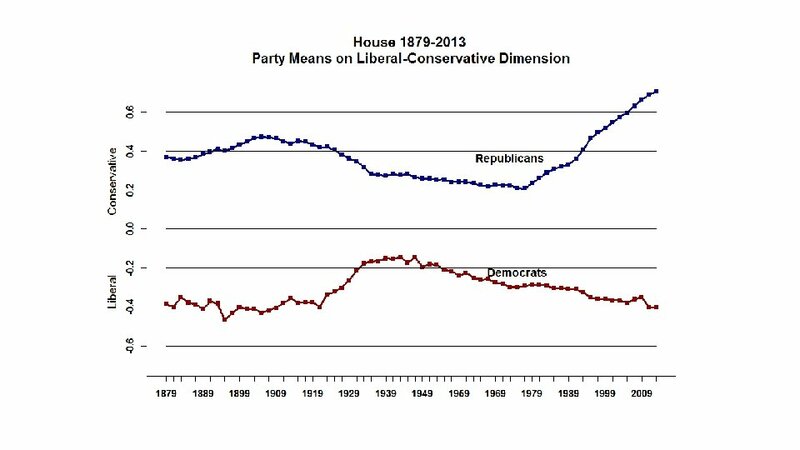 Polarization as measured by the distance between the two major parties on the first (Liberal-Conservative in the modern era) dimension is strongly correlated (R = 0. 97) Adam Bonica’s CF scores. • 2. 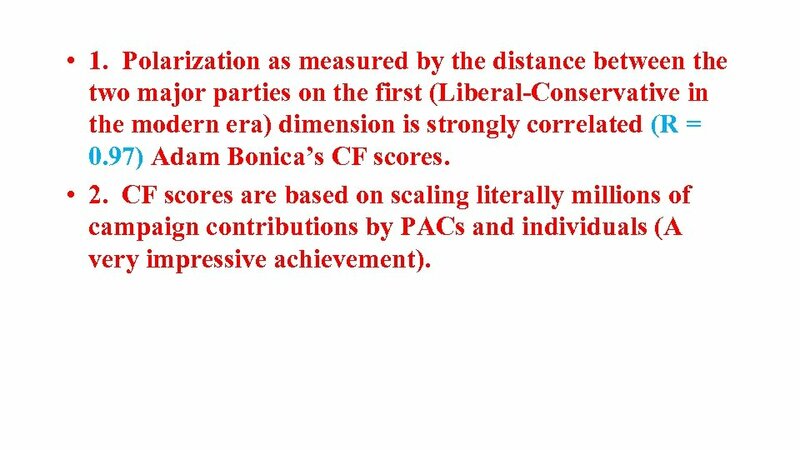 CF scores are based on scaling literally millions of campaign contributions by PACs and individuals (A very impressive achievement). • 1. 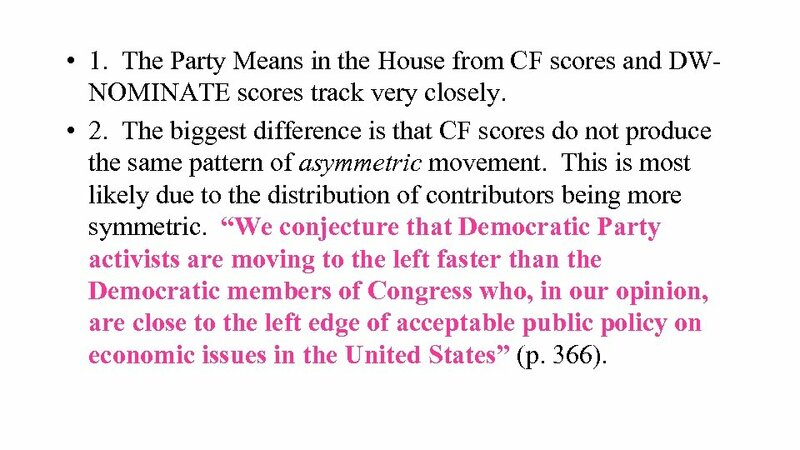 The Party Means in the House from CF scores and DWNOMINATE scores track very closely. • 2. The biggest difference is that CF scores do not produce the same pattern of asymmetric movement. 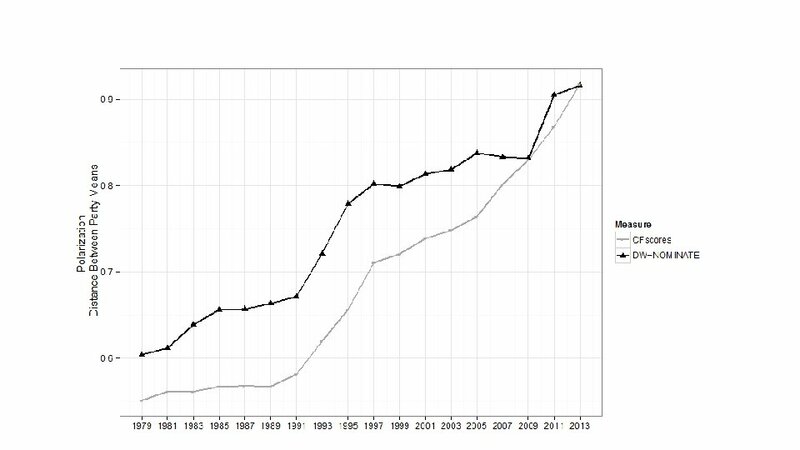 This is most likely due to the distribution of contributors being more symmetric. 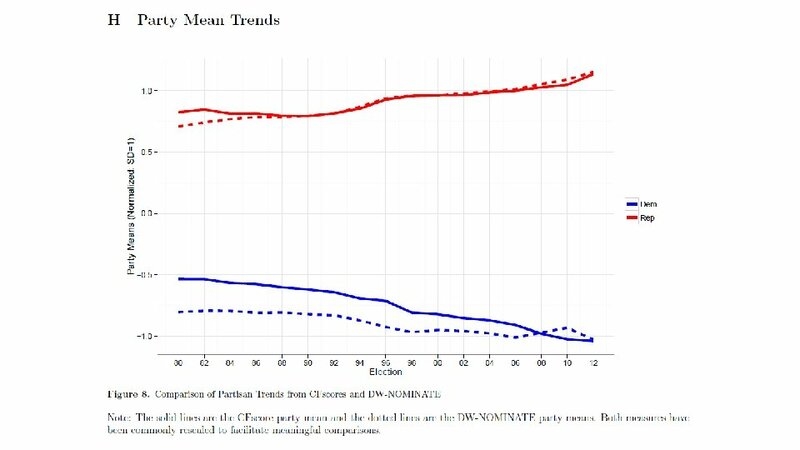 “We conjecture that Democratic Party activists are moving to the left faster than the Democratic members of Congress who, in our opinion, are close to the left edge of acceptable public policy on economic issues in the United States” (p. 366). • 1. 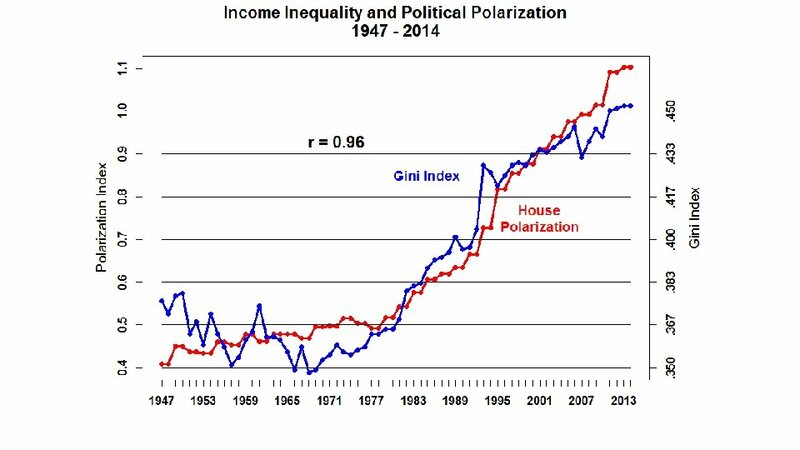 The next three graphs show House polarization against the Gini Index of Income Inequality; top 1% Income Share; and the Income of Individuals in Financial Services relative to other sectors of the economy. • 2. 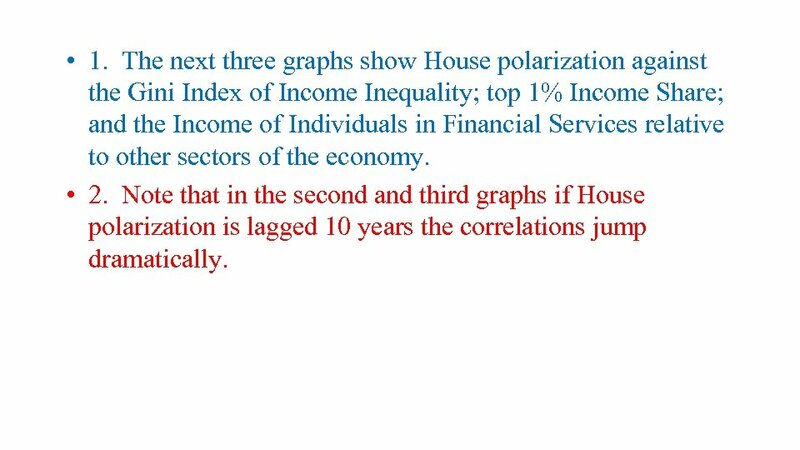 Note that in the second and third graphs if House polarization is lagged 10 years the correlations jump dramatically. • 1. 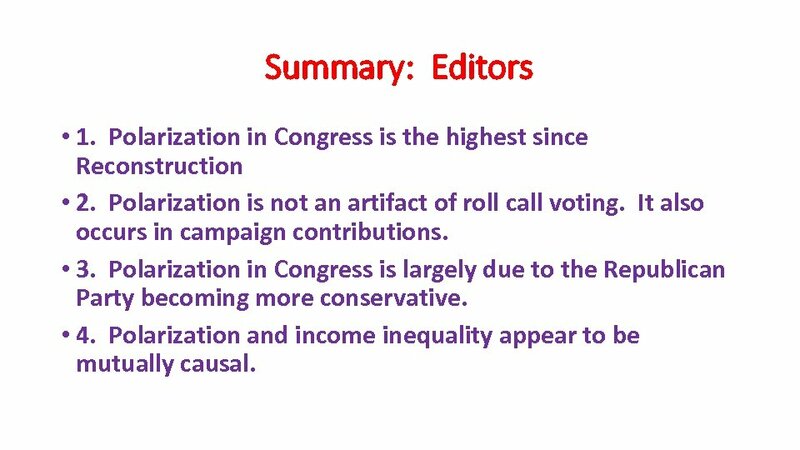 The last two slides are from Adam Bonica’s work on campaign contributions. • 2. 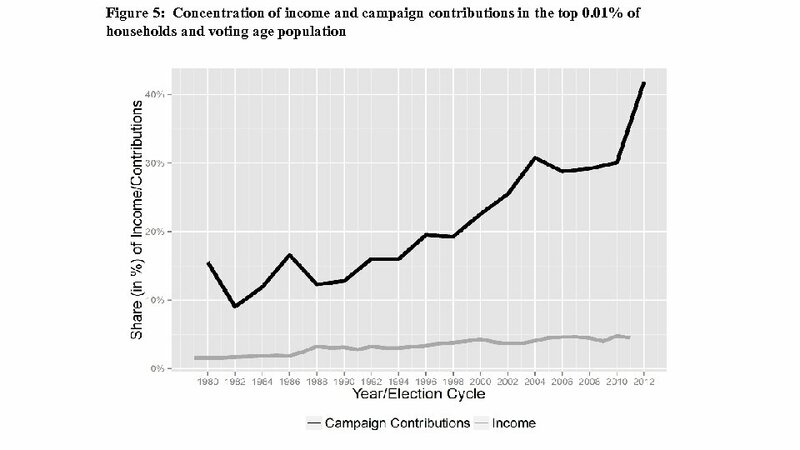 The first shows that in 2012 the mega-Rich accounted for more than 40% of the contributions! • 3. 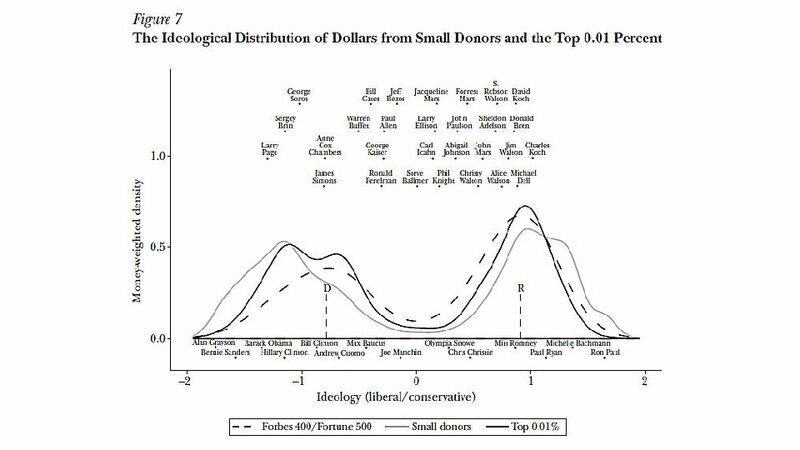 The last slide shows the ideological distribution of contributors broken down by billionaires, the top 0. 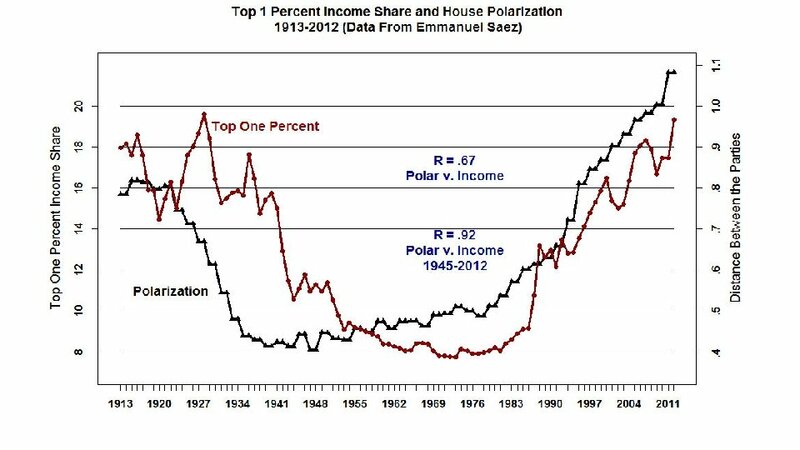 01% of the income distribution, the Forbes 400/Fortune 500, and small donors. • 4. 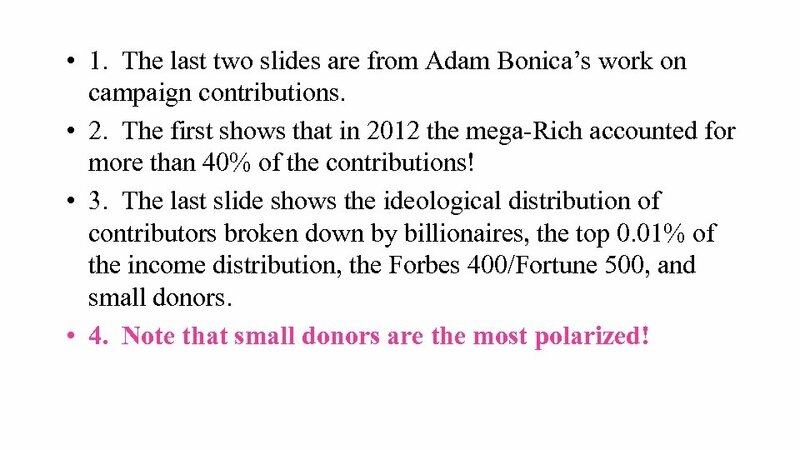 Note that small donors are the most polarized!